Society of Certified Senior Advisors: Caregiver Burnout: Do You (or a Friend) Suffer From It? Caregiver Burnout: Do You (or a Friend) Suffer From It? As much as it is rewarding, providing care to an aging or disabled loved one can be a demanding and thankless job. We’ve rounded up some tips to help you reduce some of the stress. It’s no secret that many adults care for other adults these days. In fact, according to the Family Caregiver Alliance, approximately 30 percent of U.S. households involve a relative, partner, friend or neighbor who provides a broad range of assistance for an older person or another adult with a chronic or disabling condition. When you love someone, you want the best for them. Providing care—whether long-distance, in-home or through a nursing home or assisted living facility—often seems like the natural thing to do. At some point, however, negative emotions and stress will come into play, no matter how much love is involved. The demands on a caregiver's body, mind and emotions can easily seem overwhelming, leading to fatigue and hopelessness and, ultimately, burnout. It’s important to identify and address the often hard-to-admit feelings that you might experience during the caregiving process. Bonnie Wells, 70, of Las Vegas, Nev., cared for both her mother and father during the last decade of their lives. Her mother, who died at 89 years old, was non-ambulatory. Her father, who died three years after her mother at the age of 95, was ambulatory and driving until the last day of his life. The caregiving crept up on her in ways she didn’t even realize—she was taking her mother to thrift stores to give her dad a break for a few hours or changing sheets for her father when his arthritis grew too painful. When you need help, ask. If you take care of yourself, you’ll have more energy and ability to do the great job you want to for your loved ones. There are organizations like the Family Caregiver Alliance that offer state-by-state help for family caregivers, provide caregiver tips and legal information, and supply various other tools. Local senior centers often have valuable resources and even staff that can help caregivers manage others’ needs. Also, a quick Google search for “area agencies on aging” can reveal additional options. If you’re unsure how caregiver stress is impacting you right now, take this Family Caregiver Distress Assessment. You might be surprised at your results. But above all, know that there are millions of caregivers just like you. Don’t feel guilty when you need a break—and keep searching until you find a way to get one. Wells was the only child out of eight who lived in the same town with her parents, so siblings expected her to ensure both parents were cared for. A sister provided some long-distance care via frequent Skype conversations with both parents, and a brother would drive in twice a year to check on the car’s performance and manage household plumbing, electrical and exterior issues. But the day-to-day, face-to-face problems were Wells’ to deal with—even as her own long-term career came to a screeching halt with her employer’s bankruptcy. Experts say Wells is not alone in her feelings. Meredith Collins, MS, PCHA, ALA, CDP, CSA, explains that caregivers often feel isolated and so stressed out that their immune systems can erode, which then increases the likelihood of disease, depression or hospitalization. 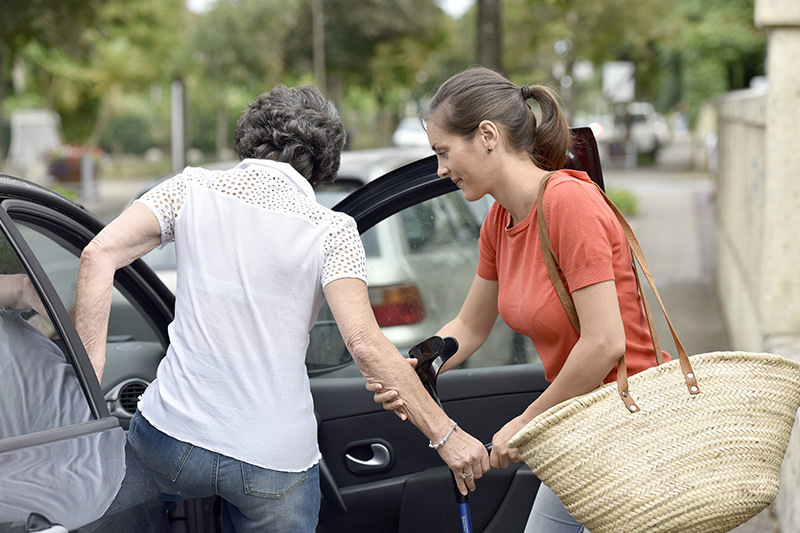 Others in Wells’ shoes also belong to a growing group of individuals still caring for children while caring for aging parents, says Jerome M. Avner, CSA and Wealth Advisor. “Adults in this sandwich generation annually spend approximately $10,000 and 1,350 hours on parents and children combined,” Avner says. Add the caregiver’s financial challenges, loss of personal time and personal health concerns into the mix, and it’s easy to see where the stress comes in. Here are tips to help you manage the stress. Get at least 10 minutes of physical activity. Make this a priority. Even that short amount of time makes a key difference to health. Get enough sleep for your body. Hydrate and eat a balanced diet. Don’t just pick from plates or eat on the run. See a doctor regularly who can help monitor your stress levels and health conditions. Accept support. Let the neighbor bring in the mail, hire a housekeeper and use sites like HomeAdvisor.com to help you find assistance with everything from on-site car repairs to putting up shelves. Schedule time away. Yoga, walks, coffee with a friend or even time alone can be a huge boost for you. Find a support group. Whether online or in-person, talking to others in similar shoes can help reduce your stress and remind you that you’re giving great care. Be a shoulder to lean on. Many caregivers have no one to talk to about their frustrations and feelings; your open ear could make all the difference for someone who just needs to vent. Offer to help. Take a friend’s mother to the salon for a nail appointment. Bring a friend’s father to a store so he can shop while you do. Ask the caregiver for ideas, and tell them which day each week or month you can assist for a few hours. Step in to care for pets. A caregiver with pets can often feel guilt and worry that they are neglecting their own animals while they spend time away from home. Take a day of dog walking off their hands or offer to take the pet to a grooming or vet appointment. Volunteer to be a “check in point” for the caregiver. Check on shut-ins, for example, and let your caregiving friend have a break one afternoon a week. “Caregiving for the Caregiver,” Meredith Collins, Mar. 29, 2017, NorthShore Blog. “The Sandwich Generation,” Jerome M. Avner, Oct. 2016 – Mar. 2017, SeniorsBluebook. “Caregivers Need Care Too: Tips on Managing Caregiver Stress,” Apr. 11, 2010, CaregiverStress.com. “What is Caregiver Burnout,” WebMD staff, webmd.com. “What is Caregiver Burnout,” Staff writer, American Heart Association. Can Fasts and Fad Diets Be Good for You?